Item # 308804 Stash Points: 11,995 (?) This is the number of points you get in The Zumiez Stash for purchasing this item. Stash points are redeemable for exclusive rewards only available to Zumiez Stash members. To redeem your points check out the rewards catalog on thestash.zumiez.com. Re-designed and implemented with more athletic performance focused features than the last model, Nike SB presents Stefan Janoski's signature Air Max 2 Premium Camo and White Skate Shoes. 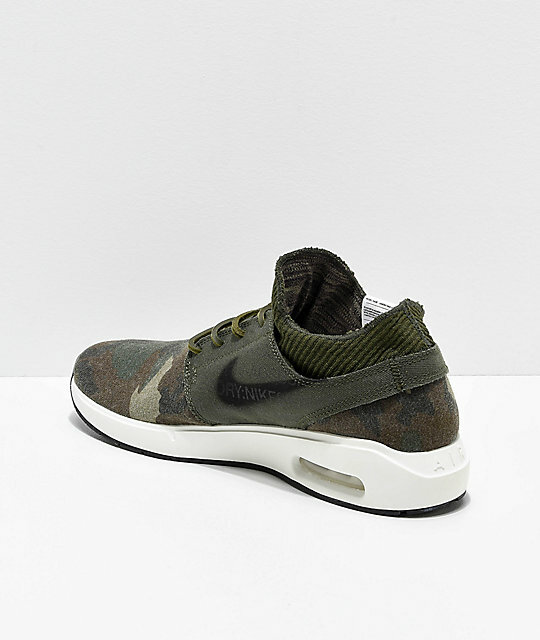 Graced with a runner-inspired silhouette and a comfortable one-piece bootie construction that's enhanced with an exaggerated ribbed sock-like collar, the Janoski Air Max 2 Premium fits snug and remains lightweight. A full-length IP foam midsole accompanied with Nike's signature visible Max Air unit create a cushioned experience with every step, while a new auxetic traction pattern helps disperse pressure. 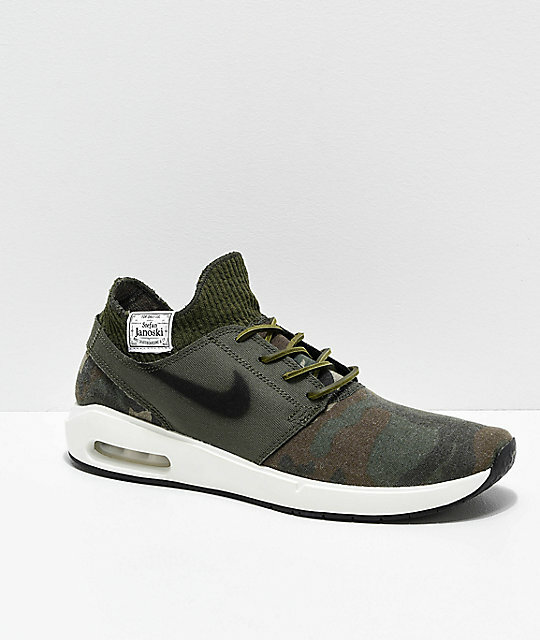 Whether you're walking or pushing on a board, the Janoski Air Max 2 Premium are the sneaker of choice. 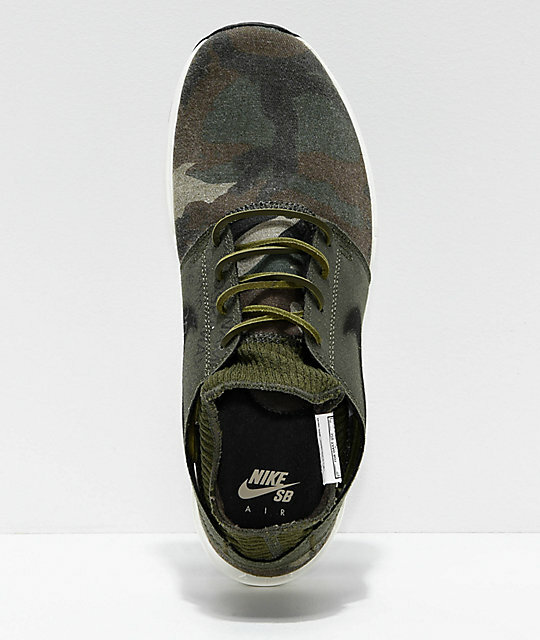 Janoski Air Max 2 Premium Camo and White Skate Shoes from Nike SB. Signature Stefan Janoski pro model shoes. 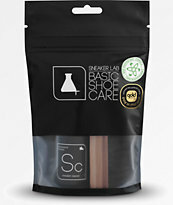 Green, tan and brown canvas upper. Midfoot overlay for secure fit with printed Nike swoosh logos. Subtle Nike SB logo script on inner midfoot panel. 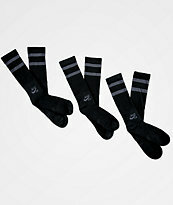 Ribbed sock-like collar for comfort with stitched Stefan Janoski tag. Visible Max Air unit for heel protection and cushioning. Full-length IP foam midsole provides superior comfort and impact support. 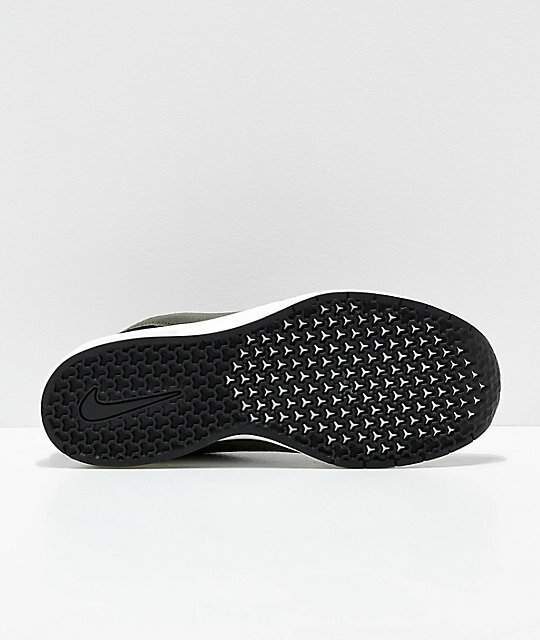 Rubber outsole with auxetic traction pattern that helps disperse pressure. Width: Slightly narrow around the forefoot. Full one-piece bootie construction for snug sock-like fit.